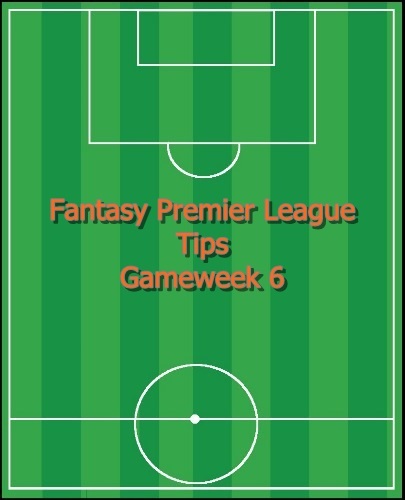 For my gameweek 6 fantasy Premier League tips I want to take a look at some of the matchups this weekend to determine where you can make some changes in your teams based on some basic statistics. This would be particularly beneficial in setting up a team for any weekly or DFS leagues, such as Togga’s Perfect XI or Fanteam (for Europe). So far this season Arsenal has averaged the most shots per game with 22.4 as well as the most shots on target with 7.8. While this has only led to five goals, they are facing a Chelsea team that has allowed a league high 12 goals scored. In addition Chelsea has given up an average of 15.4 shots per game, which is the seventh worst in the league. Filling your lineup with Arsenal’s attacking options including Alexis Sanchez, Santi Cazorla, Mesut Ozil, and Olivier Giroud or Theo Walcott is a good pick. With Chelsea there are plenty of attacking options available considering their 15.4 shots per game along with 10.6 dribbles per game, however, they are without Pedro and Willian while Diego Costa and Eden Hazard have done little to help fantasy managers this season. Tottenham v Crystal Palace is a good chance for picking up offensive points for either team. Crystal Palace has allowed a league high average of 19 shots per game, which could make Alex McCarthy an excellent goalkeeper choice since they’ve also only given up six goals. On the other side is Tottenham who have allowed 11.4 shots per game while taking the fifth most shots per game with 15.4. Believe it or not, but Manchester United has become one of the best defensive options. It will be interesting to see what changes with this now that their best fantasy defender, Luke Shaw, is out. As a team they have allowed three goals while averaging the fewest shots conceded per game at 7.6. They are also right there in the middle of the pack for tackles and interceptions per game at 8th with 20.2 and fourth with 20 per game respectively. David De Gea, Chris Smalling, and Matteo Darmian have all been excellent picks for fantasy teams this season. Southampton is another team that has benefitted fantasy managers this season with their peripheral stats. They have allowed 9.2 shots per game while gathering the second most interceptions per game with 21.6. Their use of fullbacks in attack means that Matt Targett and Cedric are both excellent defensive options this weekend. Manchester City remain the best defensive options with their five clean sheets combined with the attacking abilities of Aleksandar Kolarov and Bacary Sagna. That wraps up this week’s FPL tips. Hopefully they can give you some guidance and an advantage over your competition in this weekend’s games. (referral code: BC9KYH9JSN) and read all of their great fantasy tips. ← Do Arsenal have the foundations of a title-winning side at last?